What had you accomplished by the age of 12? Worked a paper route? Opened and run a lemonade stand? Ben Krieger of Palm Beach Gardens, 12, is already a veteran stage performer, having appeared in three national tours of Broadway shows. This Tuesday night, when he opens in Finding Neverland at the Broward Center, he will have notched some 250 performances in the past two years, including featured roles in road companies of Pippin and The Sound of Music. Over that time, he has entertained more than half a million people in 38 cities, as well as three weeks in Japan and a month in Amsterdam. 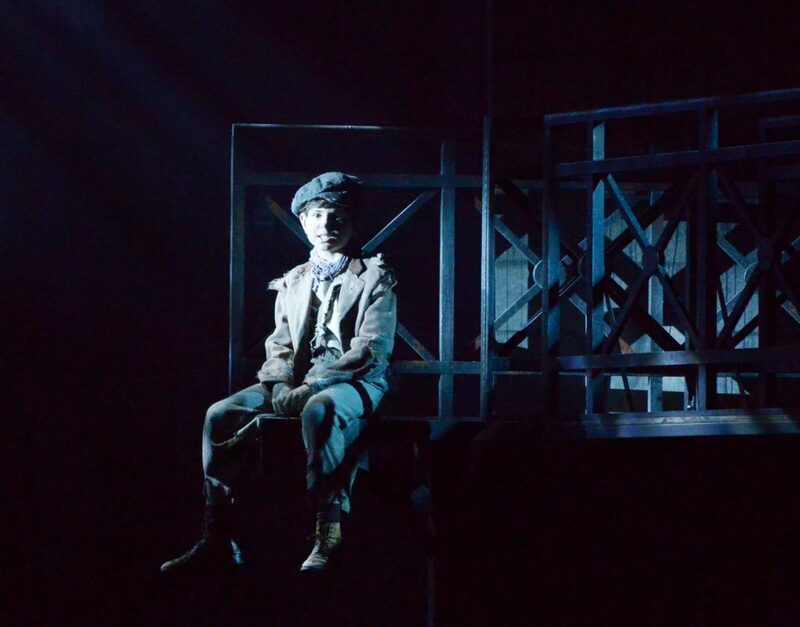 At the Maltz, Ben was a member of the theater’s Youth Touring Company, eventually working his way up to the featured mainstage role of Gavroche in Les Misérables. 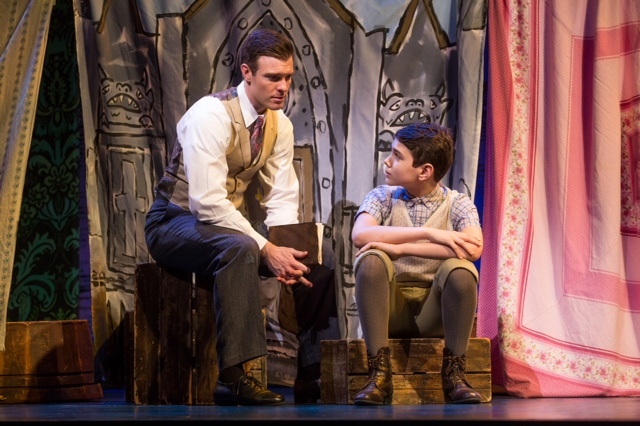 Since both of his parents work, and have two other children to raise, they sent Ben off on tour accompanied by various chaperones, like his summer camp counselor, who has traveled with him during his time with Finding Neverland. Finding Neverland is based on the 2004 film that starred Johnny Depp and Kate Winslet. Ben ranks it as his favorite of the three national tours he has worked. “It’s a really magical show. It’s about Peter Pan, but it’s not. It’s really about the man who wrote Peter Pan and how that story came to be,” he says. In it, J.M. Barrie is inspired to write the story of “the boy who wouldn’t grow up” by a family of fatherless brothers he meet and befriends in a London park. Ben considers the tour leg of Pippin in Japan to be one of the most rewarding parts of his time on the road. “Japan was a very cool place,” he says. “The audiences were great, but they don’t really clap in the middle of the show like they do in the States. Fortunately, we were warned about that in advance or it might have thrown us off. But at the end of the show, they stood up and cheered, so they appreciated it. At the end of the Broward Center engagement of Finding Neverland – exactly two years since he accepted the role in Pippin – Ben Krieger will leave the show and return to Palm Beach Gardens. “It feels like time to take a step back and return home,” he says. But, he adds, it might not be long before he auditions for another role at the Maltz. And if not there, there is always Broadway to conquer. FINDING NEVERLAND, Broward Center, 201 S.W. Fifth Ave., Fort Lauderdale. Tuesday, June 13–Sunday, June 25. From $40.25 up. 954-462-0222.